The weekly sales and streams charts are monitored on a Friday-to-Thursday cycle since July 2015, previously it was on a Monday-to-Sunday cycle. Radio airplay song charts however follows the Monday to Sunday cycle (previously Wednesday to Tuesday). The charts are released each Tuesday with an issue date the following Saturday, four days later. On January 4, 1936, Billboard magazine published its first music hit parade. The first Music Popularity Chart was calculated in July 1940. A variety of song charts followed, which were eventually consolidated into the Hot 100 by mid-1958. The Hot 100 currently combines single sales, radio airplay, digital downloads, and streaming activity (including data from YouTube and other video sites). All of the Billboard charts use this basic formula. What separates the charts is which stations and stores are used; each musical genre has a core audience or retail group. Each genre's department at Billboard is headed up by a chart manager, who makes these determinations. A hit parade is a ranked list of the most popular recordings at a given point in time, usually determined by sales and/or airplay. The term originated in the 1930s; Billboard magazine published its first music hit parade on January 4, 1936. It has also been used by broadcast programs which featured hit tunes such as Your Hit Parade, which aired on radio and television in the United States from 1935 through the 1950s. Bluegrass music is a form of American roots music. It was named by Bill Monroe who named his band The Blue Grass Boys. The 1939–1996 band of Kentucky mandolin player and songwriter Bill Monroe, who is considered "the father of bluegrass". The Blue Grass Boys played a Mountain Music style that Bill learned in Asheville, North Carolina from bands like Wade Mainer's and other popular acts on radio station WWNC. It was further developed by musicians who played with him, including 5-string banjo player Earl Scruggs and guitarist Lester Flatt. It was then evolved by other musicians who admired the high-energy instrumental and vocal music Monroe's group created, and who carried it on into new bands, some of which created subgenres of bluegrass. American Country Countdown, also known as ACC or American Country Countdown with Bob Kingsley, is a weekly internationally syndicated radio program which counts down the top 40 country songs of the previous week, from No. 40 to No. 1, according to the Billboard Country Airplay charts. The program premiered in 1973 and as of January 2006 is hosted by Kix Brooks. Hot R&B/Hip-Hop Songs airplay + sales + streaming 50 [upper-alpha 1] Ranks the most popular by combining airplay from all formats of radio stations, digital download sales, streaming data and YouTube views of R&B and hip-hop songs. Holiday 100  Sales, streaming and airplay 100 Combines sales, airplay and streaming data. Only in December. Parker, Martin (1991). "Making Sense with the Hit Parade ". Popular Music. 10 (2): 205–17. doi:10.1017/s0261143000004517. Top Latin Albums is a record chart published by Billboard magazine and is labeled as the most important music chart for Spanish language, full-length albums in the American music market. Like all Billboard album charts, the chart is based on sales. Nielsen SoundScan compiles the sales data from merchants representing more than 90 percent of the U.S. music retail market. The sample includes sales at music stores, the music departments of electronics and department stores, direct-to-consumer transactions, and Internet sales of physical albums or digital downloads. A limited array of verifiable sales from concert venues is also tabulated. To rank on this chart, an album must have 51% or more of its content recorded in Spanish. Listings of Top Latin Albums are also shown on Telemundo's music page through a partnership between the two companies. Before this, the first chart regarding latin music albums in the magazine was published on December 30, 1972 issue. 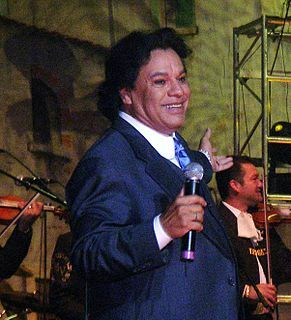 Then, all Latin music information was featured on the Latin Pop Albums chart, which began on June 29, 1985, and is still running along with the Regional Mexican Albums and Tropical Albums chart. The Latin Pop Albums chart features music only from the pop genre, while the Regional Mexican Albums chart includes information from different genres like duranguense, norteño, banda and mariachi, and the Tropical Albums includes different genres particularly salsa, merengue, bachata, and cumbia. In 2005, another chart; Latin Rhythm Albums was introduced in response to growing number of airplays from reggaeton. On the week ending January 31, 2017, Billboard updated the methodology to compile the Top Latin Albums chart into a multi-metric methodology to include track equivalent album units and streaming equivalent albums units. The Year-End charts for the Top Latin Songs chart are published in the last issue of Billboard magazine every year. The chart was based on information provided by Nielsen Broadcast Data Systems, which collected radio airplay information until October 2012 when the methodology was changed to include digital downloads and streaming activity. The Year-End charts represent aggregated numbers from the weekly charts that were compiled for each artist, song and record company. Christian Airplay is a chart published weekly by Billboard magazine in the United States since June 21, 2003. 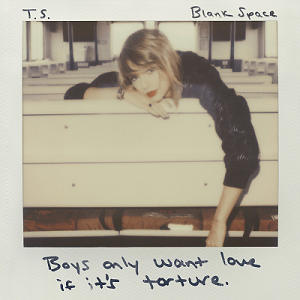 "Blank Space" is a song recorded by American singer-songwriter Taylor Swift for her fifth studio album 1989 (2014). It was written by Swift, Max Martin and Shellback. The song was released to the radio by Republic Records on November 10, 2014 as the album's second single, after "Shake It Off" and is the second track on the album. It is an electropop song with lyrics that satirize the media's perception of Swift and her relationships. Billboard JAPAN is a sister organization of the U.S.-based music magazine Billboard. It is operated by the Japanese Osaka-based company Hanshin Contents Link, holding an exclusive licence from Billboard's parent company to the Billboard brand name in Japan, and manages, among others, the web site www.billboard-japan.com and several "Billboard Live"-branded music clubs located in the country. "Meant to Be" is a song recorded by American singer Bebe Rexha featuring vocals from American country music duo Florida Georgia Line, from Rexha's third extended play (EP) All Your Fault: Pt. 2 and debut studio album Expectations. It was released to American contemporary hit radio on October 24, 2017, by Warner Bros. Records as the second single from the EP. 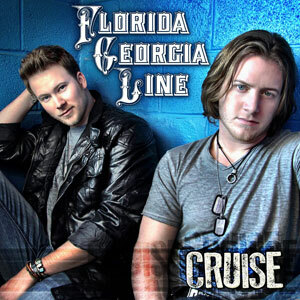 It was nominated for Best Country Duo/Group Performance at the 61st Annual Grammy Awards. ↑ "Charts – Year End". Billboard. ↑ Sale, Jonathan (January 4, 1996). "Sixty years of hits, from Sinatra to ... Sinatra". The Independent . Retrieved January 3, 2017. ↑ Nielsen Business Media, Inc. (February 12, 2005). Billboard. Nielsen Business Media, Inc. p. 64. ISSN 0006-2510 . Retrieved July 25, 2013. ↑ Knopper, Steve (19 October 2012). "Fans React as Billboard Changes Charts Formula". Rolling Stone . Retrieved 26 January 2013. ↑ Billboard staff (November 25, 2013). "Billboard Christian & Gospel Charts to Get a Consumer-Focused Facelift". Billboard . Retrieved November 27, 2013. ↑ Chris Molanphy (April 14, 2014). "I Know You Got Soul: The Trouble With Billboard's R&B/Hip-Hop Chart". Pitchfork . Retrieved January 21, 2019. ↑ "Ariana Grande – Chart History: Holiday 100". Billboard . December 5, 2014. Retrieved December 5, 2014. 1 2 "Spotify Velocity". Billboard . Retrieved December 28, 2016. ↑ "Viral 50". Billboard . Retrieved December 28, 2016. ↑ "Billboard's Canadian Hot 100 Now Incorporates Spotify Listening". Billboard . December 23, 2014. Retrieved September 22, 2015. ↑ Binkert, Lisa. "Bruno Mars Live: Billboard Tastemakers". Billboard . Retrieved October 23, 2010. ↑ "Billboard World Albums – Week Ending May 19, 1990". Billboard . ↑ "Billboard – Music Video DVD". Billboard. Billboard. Retrieved November 21, 2016. 1 2 "Billboard – Music Charts, Music News, Artist Photo Gallery & Free Video". Billboard. ↑ "Korea K-Pop Hot 100". Billboard . Retrieved October 9, 2014. ↑ Benjamin, Jeff (April 9, 2014). "Billboard K-Pop Hot 100 Launches; Sistar Is No. 1 on New Korea Chart". Yahoo! Music . Retrieved October 9, 2014.